Published in 1879, this work is a first-hand account by a female traveller in nineteenth-century India. 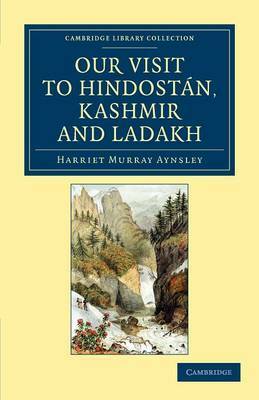 Broad in its scope and empirical in its presentation, the book is formed from descriptions of the travels of Harriet Murray Aynsley (1827?-98) and her husband in northern and central India over three years. Originally intended for the private interest of family and friends, the text remains clear, accessible and engaging to the general reader. Travelling from Bombay to Hyderabad through myriad cities and villages, including Delhi, Varanasi, Jaipur and Lucknow, Aynsley records her observations on native life, including descriptions of festivals, industry, clothing, domestic practices, food and famine, politics and religion. She vividly describes the architecture and landscapes of the places she visits, incorporating atmospheric anecdotes of her experiences. The book also contains much historical background, based on careful research, which puts the author's personal impressions into a broader context.